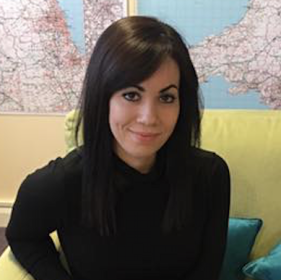 Today, we sat down with our Knutsford franchisee; Nicola. Nicola is one of our younger franchisees and at just 28 years old, it’s even more impressive that she won the award for ‘highest growth for 2017‘ at our recent awards dinner! Her franchise has continually grew month on month and her conversion / retention rates are always high. Basically, she’s smashing it! Read below to hear what Nicola thinks of the Well Polished opportunity, and how grabbing it with both hands has changed her life for the better! Why did you decide to buy a WP franchise? The lifestyle change and earnings potential. Working for someone else, travelling away from home a lot, and limited career progression made me look at other options and Well Polished seemed to be the answer to all my problems! What initially attracted you to Well Polished as company? The straight forward approach to everything – internally, and with clients and cleaners, everything is exactly as you see it! There are no hidden agendas and no politics. How do people react to your age? A lot of clients do ask how old I am and how long I’ve had the business, however when I explain my previous work history and the approach I take to running my franchise, they are often impressed rather than sceptical! Do you feel proud to have achieved so much at your young age? Very proud! It’s easy to get caught up in the day to day running of the business and undervalue what it is you’re achieving, but every so often I remind myself to take a step back and give myself a little pat on the back for what I have accomplished, and the potential it is has opened up for my future! How has owning your franchise changed your life? My family live in Greece, and so seeing them was always a struggle when tied to a set annual leave allowance. Now I can see them as many times a year as I want as long as I have my laptop with me. The flexibility of owning my own business has dramatically changed things for me. It has also allowed me to support my partner in growing his business , and yet somehow my work/life balance is better than ever! No more Sunday night dread! Any decisions are mine to make – no more endless conference calls with directors I’ve never met!! Would you recommend WP to others? Always. It’s the best career decision I could have ever made. The potential it has given my future is unimaginable. Of course, there are stressful times (as with any business) but the positives definitely outweighs any negatives I could think of!